Choosing the perfect beginner stand up paddle board is easy. All you need are a few quick tips and you will be on your merry way to finding the perfect beginner paddle board. Stability – Does the board have an appropriate amount of length, width and volume? Board Construction – Do you want a inflatable, epoxy or soft top board? Versatility – Can it be used for all types of paddling? The most important thing to look for in a beginner paddle board is how stable it is. A paddle board’s stability depends on a few key factors:. Length – How tall is the board? Volume – How many liters is the board? Width – How wide is the board‘s deck? 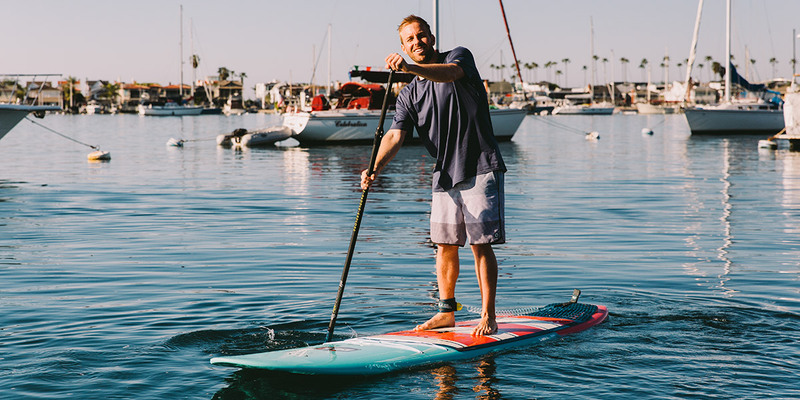 Finding a paddle board that is long enough, wide enough and has enough volume will ensure that you have found a stable and easy to ride paddle board. Paddle boards come in all different shapes and sizes. 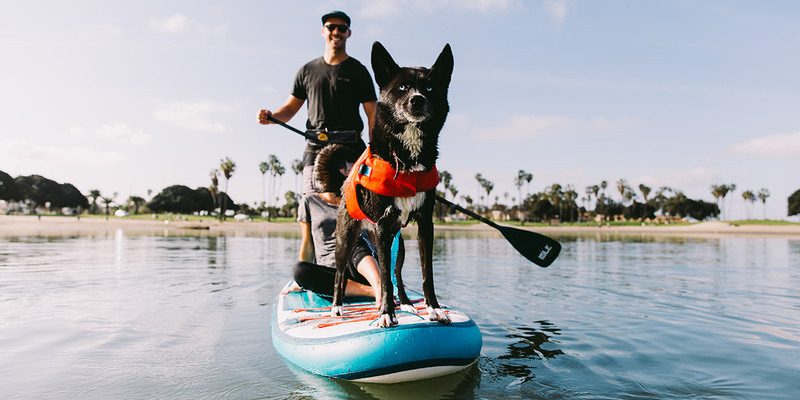 Although these are solid dimensions for a beginner paddle board shape, keep in mind that these dimensions will vary depending on your height and the weight capacity and the amount of the gear you are taking on board with you. See our SUP Size & Weight Chart to find what your ideal paddle board weight, width, length, and thickness would be. The more weight you have on the board, the more volume your board will need for the best stability. The greater the volume, the smoother your board will glide across the water, whether you’re on a shallow water lake or ocean waves. 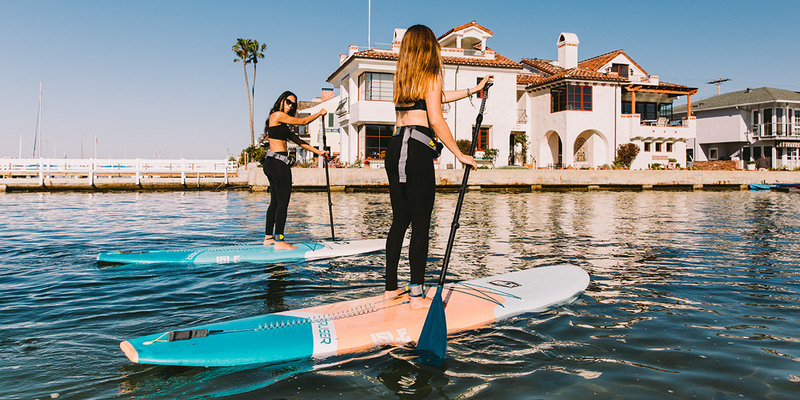 There are three different types of paddle board constructions you will come across when you’re looking for a paddle board for beginners. All three constructions are great for beginner paddlers. Your lifestyle and needs will determine which construction is best for you. You have minimal storage space at home: Inflatable SUP boards are the size of a rolled-up sleeping bag when deflated and can be stowed away in small spaces like a closet. You travel often and want to take your board with you: Your inflatable SUPs are easy to bring anywhere with you because of their compact size. Bring it on long road trips or a check it as bag on your next vacation. You’re an adventurous paddler and need a durable board: Inflatable boards are the most durable type of paddle board. If you drop it, it won’t ding or scratch. Also, if a paddle location is a hike away from parking, an inflatable paddle boards makes it possible to bring your paddle board with you. You want a board that provides optimal performance: Hard paddle boards are the most agile type of paddle board. They have the best glide, tracking and control. You have a place at your house to store it: Hard paddle boards take up a lot of space. If you have room in your garage or shed, then you’re good to go. 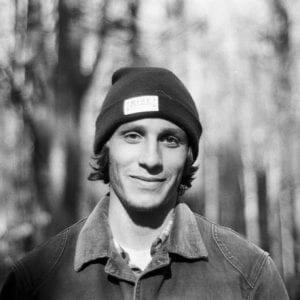 You’re a load and go paddler: If taking 10 minutes to pump up your inflatable board before you’re able to get in the water (and after to deflate) sounds tedious, then a hard board will be your best friend. You’re on a tight budget: Soft top paddle boards are the cheapest type of paddle boards. You’re worried about falling off your board: We don’t call them soft tops for no reason. Falling on this board’s deck will not hurt. A beginner paddle board should be able to be used for a variety of SUP activities. Two good keywords to search for online are, ‘All Around Paddle Board’ and ‘Recreational Paddle Board’. All Around means that a board can be used for most paddle board activities. Recreational means that the board is suitable for beginners. 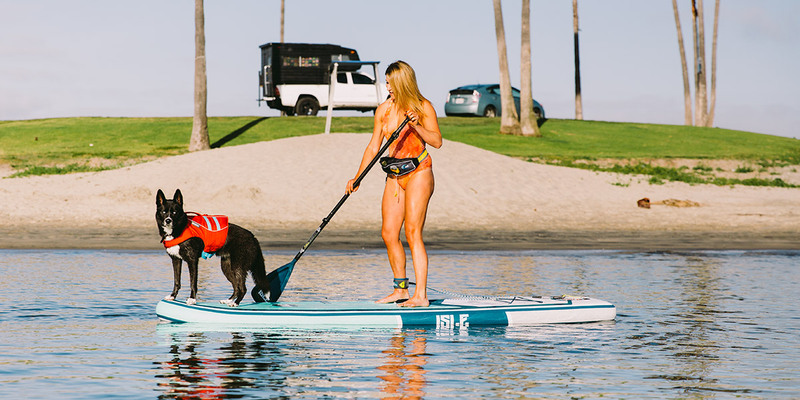 A good versatile SUP can be used for recreational paddling, SUP yoga, SUP fishing, SUP surfing and even paddle boarding with your dog. Once you do find the best beginner paddle board, you will need to know a few tips & tricks before you take it out on the water. For more tips watch, How to Paddle Board Correctly. 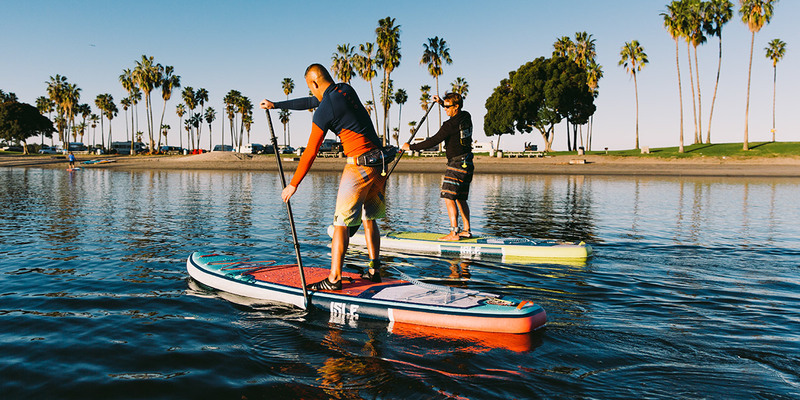 The best beginner paddle board will be easy to learn on, stable and versatile for a variety of SUP activities. 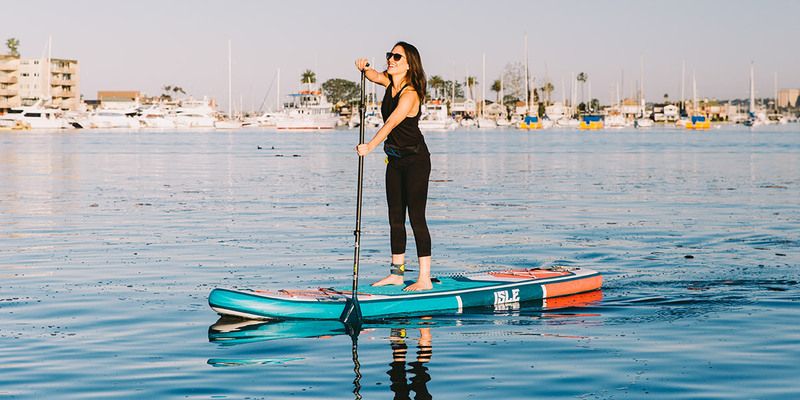 The ideal dimensions of a beginner paddle board are dependent on your height and weight, but overall, your SUP should have enough volume and width to feel stable in all water conditions.